The legendary broadcaster’s show features not just celebrities but also social media stars, influencers, musicians, politicians, athletes, and all personalities alike. During his Nashville visit the Tribune had the opportunity to chat with the acclaimed “King of Talk” who will be celebrating 60 years as a broadcaster as of May 2017, having done about 60,000 interviews throughout his illustrious career. 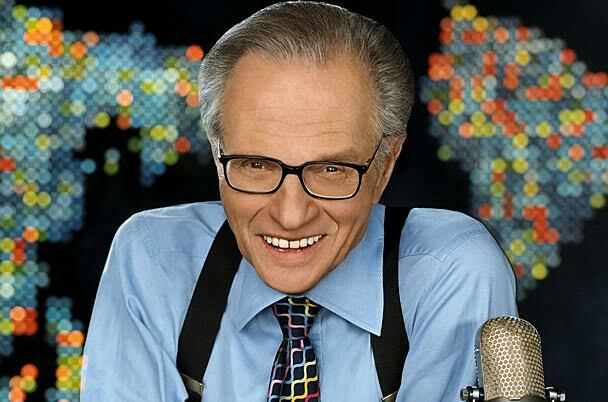 In part two of our continued chat with Larry King, he concludes the interview with his views about the presidential race and about the controversial protest with football player Collin Kaepernick. TRIBUNE: Our two presidential candidates are longtime friends of yours. You’ve interviewed the Trumps shortly after they got married. Donald Trump is a personal friend. So what do you think about his (Trump’s) candidacy? TRIBUNE: Since both candidates are longtime friends of yours, how are you going to decide when it’s time to vote? TRIBUNE: What is your spin about the controversy with NFL player Collin Kaepernick’s stance about not standing for the National Anthem as a form of protest against the violence and racism of African Americans? TRIBUNE: Out of all of the thousands of people you’ve interviewed, the person that you’ve talked to that I would love to interview is Russian President Vladimir Putin. For some reason I find him fascinating. But I’d like to chat with him about other topics. Not politics. He would be awesome in a James Bond movie! Previous articleHere’s What We Need to Teach Our “Millennials”– NOW!